That is being used now due to roadworks in Kenton in the evening. Do many people use it? Maybe locals in the summer but is it that big of a problem? How will it be policed (suspect it won't)? But they won't do these jobs, the same reason why farms need EU migrants because they will work hard for minimum wage. The idea is that people stay in the town centre longer and hopefully spend more money rather rush off somewhere to get a WiFi connection. I'm sure this will work in bigger town centres but Dawlish has less to offer unless you want charity shops or cafes! 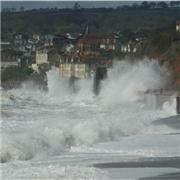 Why are people quick to say that Dawlish is going downhill? I grew up in the Midlands and Dawlish is not even close to going "downhill"
So more regulation stops a professional fireworks display but anyone can go a buy a bunch of fireworks and set them off anywhere!! Well they obviously think it's working because they are never around to see any of it!! Most the doctors aren't there half the time. It would be nice to see the same doctor every time you went. Instead, you get whoever is next available. You can, of course, make an appointment with a particular doctor in advance but the good ones are usually fully booked for weeks. There are two doctors I request another doctor when given an appointment with them. The Big Weekend was not a waste. It was exactly what we need here more often. The event was brilliant. The reason the park and ride wasn't used was the amount they charged. £11 per person if I remember correctly.